Here at Campers and Gear we love a good Jazz song, but we love a perfect S’more even more. So next time you are enjoying some good music around a campfire try out our recipe for the perfect S’more. Instructions: Once everyone is gathered around your campfire and music is playing or ghost stories are picked out, set ingredients aside and carve your stick to a clean and sharp point with your knife. Then take one large Jett Puffed Marshmallow and impale on the tip of your sharpened stick. 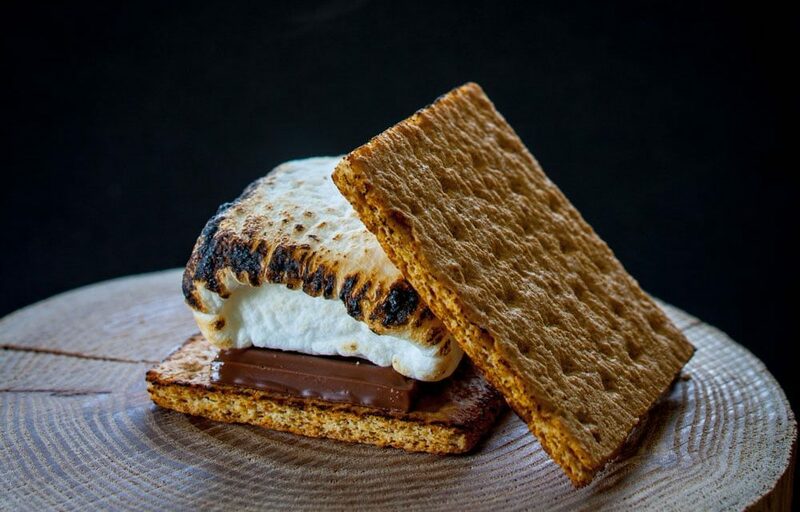 Place half of your Hershey’s Chocolate Bar on half of your Honey Maid Graham Cracker, then begin to slowly roast your Marshmallow over the campfire until it begins to darken and melt into warm soft gooeyness. Then place between the Chocolate bar covered Graham Cracker and the other half of the Graham Cracker and squeeze together. As molten Marshmallow melts and fuses with the Chocolate take a bite and remember that life doesn’t get much better than this!